There are many different dog breeding businesses out there. But it is only those with pedigreed dogs that come with papers that can be the start of the most successful, popular and sometimes very lucrative business of dog breeding. Today I will discuss how to start a dog breeding business and everything related that you need to know before you dive into this part of pet industry. First, let me quickly walk you thought a reality check so that we're on the same page. Breeding dogs is an undertaking that requires a considerable amount of thought, research and learning to get started successfully. If you thought starting your own business would be a simple task due to all the recent entrepreneurial hype, that is a false notion. As many other pet businesses, a dog breeding business will take a lot of effort and smarts, since you'll not only need to get your business itself up and running, but you'll also need to be knowledgeable on the process of breeding dogs and how to care for the canine mothers and pups. My first piece of advice would be this: familiarize yourself with the concept of dog breeding. Here's a great article from AKC on breeding dogs for the uninitiated. More importantly, understand what irresponsible breeding is and how to avoid all the mistakes of those breeders that will end up being closed down and fall lawsuits. Here's a great podcast episode on irresponsible breeding of dogs. With the above out of the way, learning how to start a dog breeding business in today's day and age definitely makes sense. 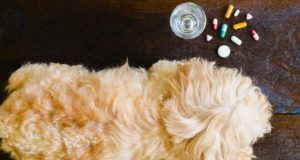 There's an increasing growth of new pet owners in the US and across many other countries, and analysts predict the growth to continue. Most potential pet owners are looking for purebred dogs for numerous reasons from breeders. Some insurance companies will not offer homeowners insurance to families with mixed breeds (mutts) or breeds that are of a particular breed. For example, Pit Bulls and Rottweilers are two commonly cited breeds that will likely to create problems for many owners. That is due to simple facts and statistics of these two being the most scary and aggressive dog breeds on the planet. The point I'm trying to make here is that you need to be knowledgeable in these matters and keep all these statistics, facts and owners' assumptions in mind if you want to create a successful dog breeding business. You need to know where you're going. Due to the popularity of breeding businesses, you're sure to have clients no matter what breed you pick for your dog breeding business. However, your clients may not be in your local area. This is an important factor to consider if you want the business to grow quickly. It's simple common sense that a dog breeding business may take longer to get off the ground simply because your target market is much smaller in a specific area with your clients being miles away. All things considered, if learning how to start a dog breeding business is still your primary goal, then don't let this information discourage you. With a proper dog breeding business plan, enough research and hard work on how to start a dog breeding business effectively, you're sure to be a success! If you feel like you are up to the task of owning your own dog business, and dog breeding appeals to you, this guide will help you create a plan for getting your venture started. For the rest of this article, I will assume that you have read the above posts on dog breeding and irresponsible dog breeding, and you know exactly what this business is. With this type of pet business, your first step is obviously going to be deciding on what breed of dog you will work with. Some breeds like Golden Retrievers and Labradors are very popular and easy to sell, while others, like Sheepdogs and Great Danes, are sold less often and may need to be advertised on a larger scale. This is one of the first important considerations for you. If you don’t want to spend a lot of money on advertising and you want to turn the dogs over quickly once they are of age, then it's best to stick with the popular breeds. You won’t get as much money for them but it will not be so much work to sell them either. Is the breed popular? Before selecting a dog breed, you want to assess the need in your area. Certain breeds are more popular because more people are breeding them. For example, it may not be the best idea to breed boxers if there is already a well established boxer breeder in your local area. It doesn't mean you can't do it; it just means that it will be even more difficult to get your name out if there when there's someone with an established reputation in your backyard. How quickly does it sell? Part of assessing the need is making sure that your chosen breed is going to sell well. Like with any other business, you need to sell the product in order to make profit. Before going forward with the breed you have chosen, see what the wait time is for other breeders that sell the same type of dogs. You can easily find this out by making phone calls or checking internet websites for other dog breeders. You can also call non-competing breeders and ask them their opinion on whether they are satisfied with the way that particular breed is selling. Whatever breed you decide to sell, you must first become very familiar with it. You will have to become a very well educated expert and be able to show potential customers your familiarity with the pedigree of your dogs and their bloodlines. You may even want to highly consider training under another breeder for a few months in another town where you will not eventually become their competition. 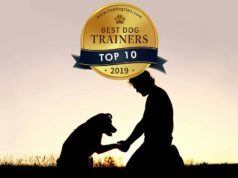 Not only will you need to become an expert on the breed, but you'll also need to learn everything there is to know about the proper practice of breeding dogs and this business. 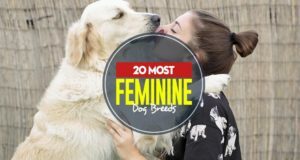 There is a lot to know about the proper timing and techniques for dog breeding, as well as how to care for the mother and her pups. Not to mention you'll need to know all about the birthing process, and how to do everything lawfully and keep dogs healthy and happy. Many people think breeding is just about getting a male and female dog together and letting nature take its course, but there is so much more to breeding than that. Responsible breeders sell to responsible pet parents, and those parents are going to have a lot of questions for you about your breeding practices and your puppies. You'll need to have answers for them; otherwise your reputation will go downhill quickly. When you're trying to learn how to start a dog breeding business, you need to plan well ahead. Is this something you will be fully committed to and want to immerse yourself in as a full time occupation or will it be something you only do once or twice a year to supplement your income? Whichever way you choose to go, you have to be fully committed to that aspect because no one in the dog breeding field ever became successful without gaining a lot of knowledge and putting in some long hard hours (at least not for a long time). Pick a location. Once you've figured out just how much time you want to commit to this business you can select the location for your company. If you're just doing it on the side with your own dogs, you will most likely run your business out of your home. However, if you are interested in breeding multiple dogs at a time or working with other pet owners to breed your dogs with theirs, you may need a fairly large facility. You'll not only need space for the adult dogs, but think of all those puppies. When they are first born you only need space for a few whelping boxes, but as they grow you'll need plenty of room for them to get exercise and play. Furthermore, you'll also need an office space for yourself to keep the business legitimate, as well as a designated area for potential buyers to visit with the pup of their choice. Finding and renting a space will be your biggest obstacle and investment. Generally, the bigger the dog breeding operation that you have, the more space it will require. Naturally, more space equals more expenses. The larger your facility the higher your rent and utilities will be, and if your business is so large it requires you to hire employees, that will drastically increase your costs. You will want to weigh the added costs against your increased profits to make sure it's worth it. Before find a way how to start a dog breeding business quickly, and before you can get any dogs to breed in your new establishment, there are a few legal things and paperwork that you will be required to take care of. The first is the local zoning laws. You need to find out where it’s legal to run this type of business and how many dogs you can have. You may need such things as a kennel license. You also need to find out what certificates and other documents will establish you as a respectable breeder and what other paperwork you need to take care of. This will all be dependent on your specific location, so talk to your local municipality about this (usually, you can call your City Hall and request an appointment to discuss these matters). On top of that, depending on how deep you want to get into figuring out how to start a dog breeding business and into this industry, you can be certified by organizations like the American Kennel Club, which will get you a lot more recognition from potential clients. Obtaining these additional certifications means a lot of extra work and some additional expenses, bit it is certainly worth it. You'll also need to do some research on pet business insurance. Be sure that you're covered for liabilities, dog bites, and other special circumstances pertaining to breeders. Your insurance agent will definitely recommend contracts and other documentation that will protect you as well. You may want to work with another breeder or a lawyer who specializes in animal cases to create these contracts. You should have a contract drawn up for your clients and for any other dog owners you may work with for studding services. You'll need to make sure that you are legally covered from every angle. Even if you'll be selling dogs to friends and family, or working with a lady across town to breed your dogs together, you never know when legalities can occur and I cannot stress enough how important it is to have signed contracts. You may already have the dogs that you want to breed or have the financial means to purchase them, but have you thought about all the other expenses your business will incur? As well as other things, depending on how and where you choose to run your business. When planning your finances, you need to be as detailed as possible. You'll want to create a dog breeding business plan that will help you figure out all your costs. A business plan will help you understand the costs of your business venture. Once you've figured that out it's time to set your prices. You want to make sure that your prices are competitive with similar breeders, so make some phone calls and find out what puppies of your breed are going for. Remember that you don't have a reputation yet and you're not going to be able to set your prices similar to breeders that do. Factor in the other breeders' reputation level, education, and experience when you're setting your own prices. Odds are your pups will have to be priced a bit lower than other breeders, but as your reputation grows you can increase your fees. When it comes to discussing how to start a dog breeding business, we must talk about advertising and marketing – the key to a successful launch. Advertising this type of business is a little different than many other pet businesses. Chances are you won't be selling a lot of puppies to friends, family members, and neighbors in your local community. Although it can't hurt your business to advertise in local pet shops, dog parks, and grooming facilities, it probably isn't going to get you a whole lot of business either. Here's the truth: a dog breeding business has a much smaller target audience than most other pet businesses. Dog walking companies and dog groomers can advertise to all dog owners, because every dog needs their services. Unfortunately, the dog breeding market is much more selective. Your target audience is only the few dog parents that are in the market for a dog of your particular breed. This is why you need to advertise on a larger scale. The internet is going to be your best friend throughout your advertising adventure. For starters, you'll need to create a really great website. Here's a great guide on how to create a website for free or almost free. If you don't want to do this yourself, then you may want to enlist the help of a professional with this to make sure that as many people see your site as possible. Think outside the box too. Advertising on websites, in magazines, and other spaces dedicated to your breed is a great way to reach your target audience. Finally, it's time to get to work! Hopefully you realize that learning how to start a dog breeding business is a lot more work than it seems but it's something that is definitely doable and can be profitable. Research, education, and proper business planning will get you where you need to be. Don't rush the process and spend enough time on the business plan (refer to our article above). The more prepared you are when you launch, the more successful you will be. Whatever you do, it is important to emphasize that you become very familiar with your breed and are highly aware of the breed pricing in your area. When you combine this knowledge with a lot of hard work, you will do well. In no time at all you'll be starting to build a good reputation for your dog breeding operation and grow.